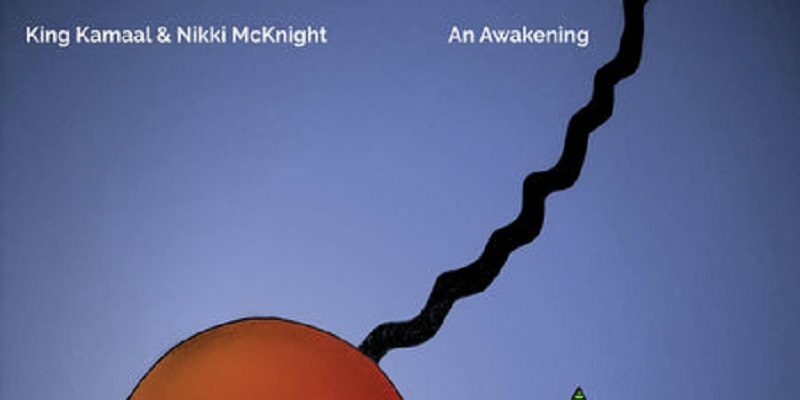 Nikki Mcknight collaborates with King Kamaal on this project, and before we even get into the details – if you’re a fan of real, heartfelt, insightful and intuitive hip hop, through and through, you need to hear this. Beginning with the immediately iconic Black Skin, the project pours deep thought and reflective realism into your life. A simple beat and a few distant riffs float through by the side of a driven and passionate leading voice. The lyrics do all the work, the track doesn’t need any gimmicks or quirks to give it weight – something you come to recognise and appreciate throughout this entire EP. Story Of My Life is stunning, heartbreaking in its realness and presentation of truth – often shocking, but rightfully so, and still it’s the strength of the lyrics and the genuine pain in the vocals that holds the experience up so high. The musical backdrop in this case is simple but beautiful, a few chords repeat in the distance and combine feelings of hope with those of difficulty and tiredness. The switch from Mcknight to Kamaal feels like turning a page in a book – it’s the same book, without a doubt, but the scene changes slightly; along with the perspective. You soon come to realise this is a match made in heaven. Kamaal and Mcknight offer unique qualities as individuals, but together they’re undoubtedly on a similar wavelength throughout this project, and it works perfectly in welcoming the listener along for the journey. Shame continues with the honesty and hardship but brings in a touch of jazz and a melodic hook that adds a slightly more laid-back approach. There’s a theatrical nature to the performance here, a little more story-telling and sightly less of the introspection, though it’s no less compelling – on the contrary, the lyrics are gripping. The more I hear this one, the more it stands out – a definite musical highlight. Something that’s been returning to the scene slowly but surely this year is the sort of hip hop with intention and meaning. Part of the reason for its reappearance could be intelligent rap battles, but also a wide-spread realization that when nothing is being said – there’s not much point in listening. This EP pays a brilliant tribute to the days of real, thoughtful, gritty hip hop – the sort with a concept at its core, rather than simply a beat and a bottle of champagne. In terms of songwriting and memorable hooks, Hard White (Feat. DNA) is perhaps the most ear-worm-like of all the tracks on this project. The ambiance in itself offers a fusion of melody and something a little more dissonant and slightly haunting. There’s a certain intensity to the lines and the rhythm with which they’re presented – every lyric feels brand new yet brings something worth considering. Kamaal shines brightly here and there’s a strong sense of collaboration to the various sections and the two characters as they switch back and forth. Stirring a little gratitude into the process, Role Model, Pt. 2 feels reminiscent of Dear Ruby in some ways – respect is paid to the past and those who paved the way in life. 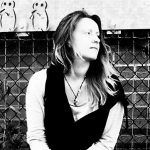 Nikki Mcknight is an inspiring artist for a number of reasons, not least of all her somewhat humble approach combined with her naturally open and ever-impressive lyricism and flow. She sets the bar high without ever declaring herself to be doing so, and that’s why it captivates so well. Kamaal adds so much to this sentiment with equal honesty and meaning – there’s a reason for all of this, and it’s not merely to get plays or get a crowd jumping. Moment Of Silence leads with a mellow ambiance and yet the intensity of the lyrics gradually increases throughout. Taking on the state of the world at present, political and social issues that affect us all, the track is subtle but powerful in what it highlights. The Other Side ends the EP in a beautiful way, you seem to get a little closer to the artists here – not that they’ve held back in any way before, but there’s a touch of biography to the opening verse, and this is followed by a string of motivational and empowering ideas. Those inherent values such as gratitude, passion and self-belief stand as tall as ever – but they’re always backed up by openness; never painting over struggle or despair. Each line has been cleverly written and included so as to hold tight to your attention throughout. The contrast between the vocals and the verses works even more so in favour of this. An Awakening is one of a select few projects that have made it in full into one of our playlists. Strangely enough, it’s one of a similar name – intended to represent the re-awakening of real hip hop. This is an easy EP to listen to on repeat, with each re-visit you hear something new, you feel a little more connected to both Kamaal and Mcknight, and always the music fills the room in a calm and collected manner. Absolutely worth a download, one of the best of the year. Download or stream the EP here. Find & follow Nikki Mcknight on Twitter & Instagram. Visit her Website for more information. Find & follow King Kamaal on Twitter & Instagram.